Mauricio Pochettino felt Tottenham paid the price for a testing week after slipping to a 4-2 defeat against Arsenal in the north London derby. Spurs had trailed 1-0 following Pierre Emerick-Aubameyang's early penalty but hit back through Eric Dier's equaliser and a spot-kick of their own from Harry Kane at Emirates Stadium. But Aubameyang's stunning 56th-minute leveller set Arsenal on their way to a turnaround of their own, with Alexandre Lacazette and Lucas Torreira completing the comeback before Jan Vertonghen's red card ended any slim hopes of another Spurs comeback. The loss came at the end of a nine-day run where Spurs defeated Chelsea 3-1 at Wembley before beating Inter 1-0 in the Champions League, while Arsenal were able to make a raft of changes in their 3-0 win against Vorskla on Thursday having already sealed progression to the Europa League knockout stages. 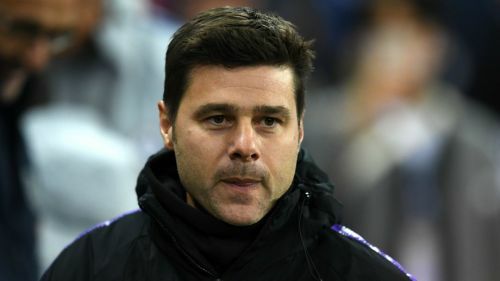 And Pochettino believes the difference in preparations played a key factor, telling beIN SPORTS: "We were arriving in a difficult moment for us after two big games to arrive for a bigger game. "The opponent is not at the same level as you because they were resting during the week preparing for us." He added to Sky Sports: "It was a very competitive game. It was tough for us, we had Chelsea and Inter. "The opponent was so fresh because eight or nine players didn't play Thursday. It's not an excuse but when you concede [to make it] 3-2 you need energy." Arsenal's crucial third goal came as a result of Juan Foyth being robbed of possession by Aaron Ramsey, but Pochettino was keen to deflect blame away from the young defender. "I am a little bit disappointed with the things that happen sometimes in football, of course he failed in this action but he was great during the game," he said. "I am so happy. Of course when you are young and play this type of game it's difficult, but he was so good. I won't put the focus on him."